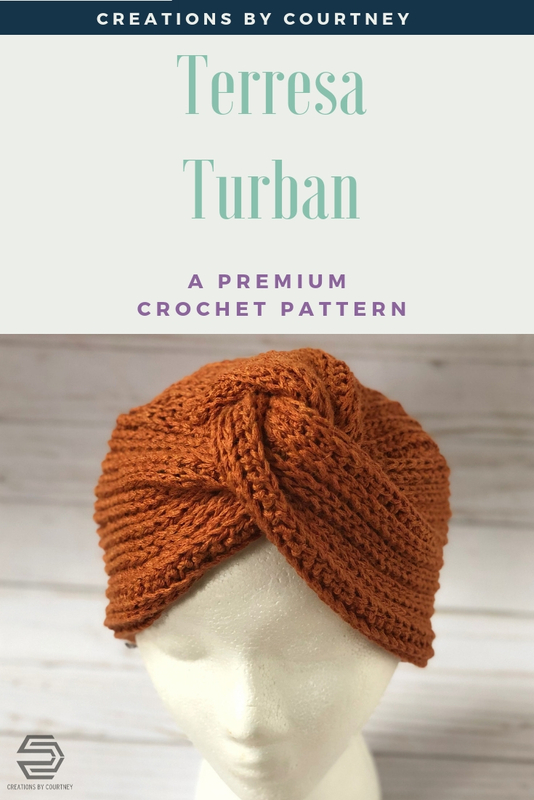 The Terressa Turban crochet pattern is for you if you enjoy being stylish, or want to hide the fact that your hair has a mind of it’s own this day. For this particular design, it was inspired by my “Work Mom,” who was experiencing hair loss as her health declined. She was never the fancy type to care a whole lot about her hair, but she didn’t care to walk around with balding spots. As a joke in the office, we referred to her as Queen Terresa, so I made her this turban and found the perfect brooch to add to the center knot. Sadly, Terresa passed March 2018. 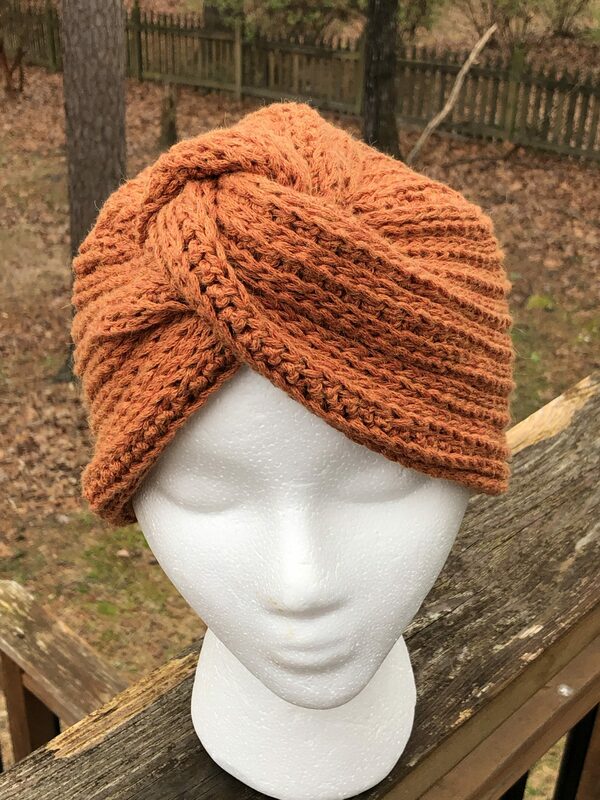 So whether your hair is not cooperating, you want to hide thinning hair, or just be cute, the Terresa Turban crochet pattern is made for you, a friend, the neighbor, and all of the kids. Hdc in 3rd loop wrong side: yarn over, insert hook in 3rd loop of next stitch (under the top two loops) from bottom to top on right side, yarn over, pull up loop, yarn over and pull through all three loops. Hdc in 3rd loop right side: yarn over, insert hook in next stitch from bottom to top around the 3rd loop on the RS of st, yarn over, pull up loop, yarn over and pull through all three loops. Follow this tutorial on how to make the HDC in 3rd loop in both directions. All stitches will be completed this way, except for the first and last stitch. Refer to the Table 1 at the bottom of the pattern to determine the best size to make based upon your own or the receiving person’s head measurement. Ch 2 does not count as a stitch, unless otherwise noted. Count while creating each stitch, or at the end of the row to make sure the stitch count is consistent for each row. Join the Creations By Courtney Community on Facebook for exclusive deals, giveaways and CALs. 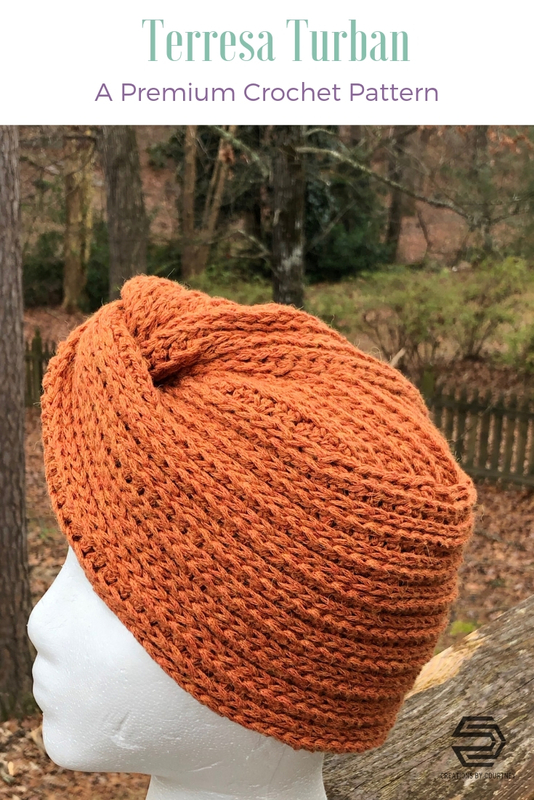 Get a $1 pattern today! More crochet patterns & yarnie fun? 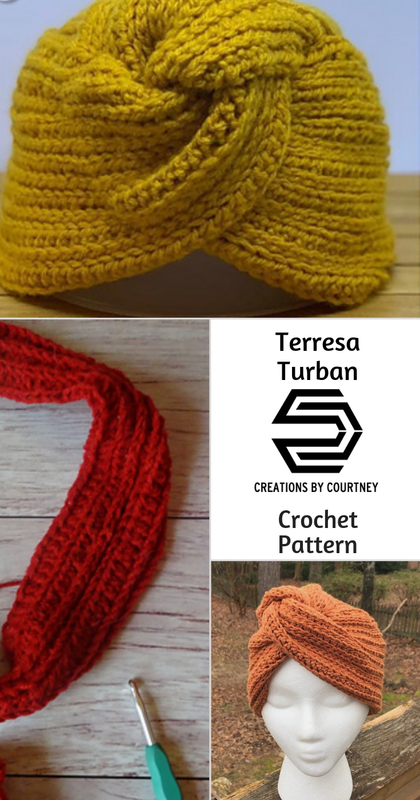 Signup today & get a $1 crochet pattern! 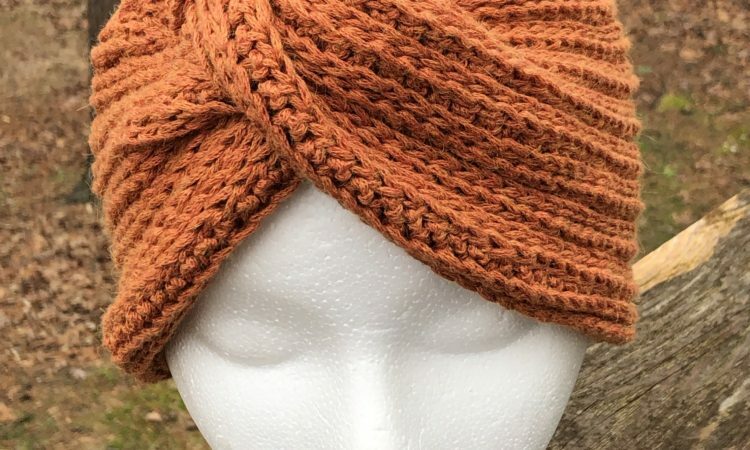 Want to know about the latest crochet patterns? Signup today & got ONE FREE CROCHET PATTERN! Your information will *never* be shared or sold to a 3rd party. The data collected is used for email marketing purposes.